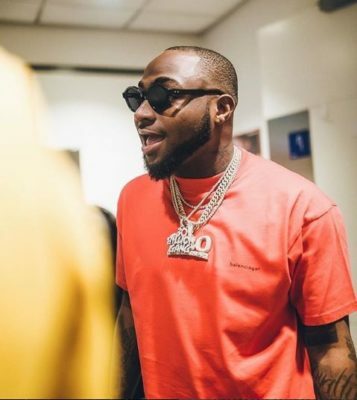 Davido is fond of spoiling himself with expensive jewelries and other fashionable items. 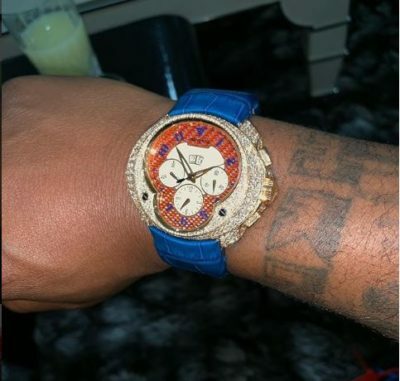 The singer shows us an expensive early birthday gift he got for himself. He makes a video of a new gold chain which has an inscription of one of his nicknames; “Baddest” as well as a number; “7” covered all up with diamonds.